When it comes to the supply of control and monitoring solutions then REGULATEURS EUROPA is amongst the world leaders. 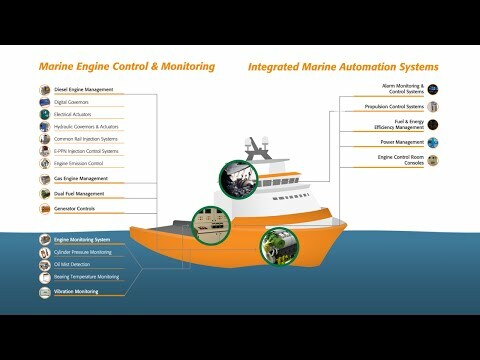 From mechanical and electronic governors to turnkey monitoring and control systems for marine, traction, industrial and offshore applications. Established in 1954 we have the advantage of over 60 years of experience developing control and monitoring philosophies for prime movers is clearly evident in the products and services supplied to engine builders, utility companies and ship operators in addition to many other users around the world. The name REGULATEURS EUROPA has become synonymous with quality and dependability. REGULATEURS EUROPA is able to supply products that satisfy the most demanding of applications. As a member of the HEINZMANN Group REGULATEURS EUROPA offers a complete portfolio of control and management solutions for all major types of prime mover with products ranging from standard components to highly complex power management systems. Today REGULATEURS EUROPA production facilities are located in Colchester, United Kingdom, and Roden, The Netherlands with a worldwide sales and service network.